Photo Gallery Thursday " Salt of the Earth Bakery"
These photos are from the Chocolate Show in New York City at the Salt of the Earth Bakery booth. You cannot understand the taste of these baked goods until you try them. 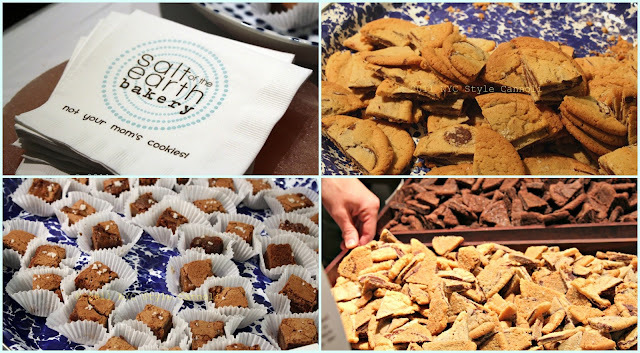 In addition to their chocolate chip cookies with maldon sea salt, they also make brownies, mud pies and brownies. They use the best ingredients and you can really tell with the flavor that comes through. Have you tasted chocolate with sea salt? What are your thoughts? I give it a very big high five!! I think it is a flavor combo that is here to stay. more wonderful treats ..you are making me salivate!